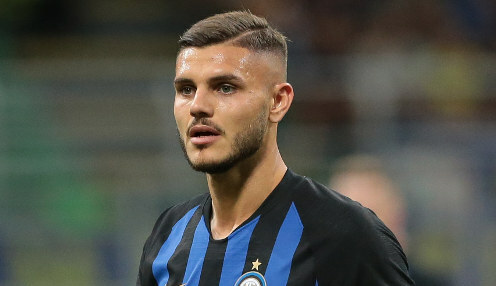 Inter Milan boss Luciano Spalletti believes there is more to come from Argentina international Mauro Icardi. The 25-year-old has been prolific since joining Inter from Sampdoria five years ago, finding the net 100 times in 162 Serie A matches. He scored a late equaliser in the midweek Champions League clash against Spurs before Matias Vecino grabbed the winner but Spalletti has urged Icardi to improve his all-round game. "[It takes] a bit of everything," he said. "He must make movements that will benefit the team, just as they must consider what his qualities are, putting him in a position to express himself better. Inter had been expected to be one of Juventus' main challengers for the Serie A title this season but they have started their domestic campaign poorly, collecting just four points from four matches. Spalletti added: "If we're able to win these games, we come out of them stronger because it means that we're capable but we have to keep doing it. Inter, 12121/1 to win the Serie A title in 2018/19, are 17/20 to beat Sampdoria on Saturday.